It's A Thing Of The Fast, No Hoops! ALLACCESS.COM, the radio and music industry's #1 one-stop destination for radio and music information, is proud to announce the debut of our new ALL ACCESS DOWNLOADS system, an ultra-fast listen and download interface that delivers watermarked broadcast-ready WAV file music -- and other desired file formats -- with no hoops and without file conversions. 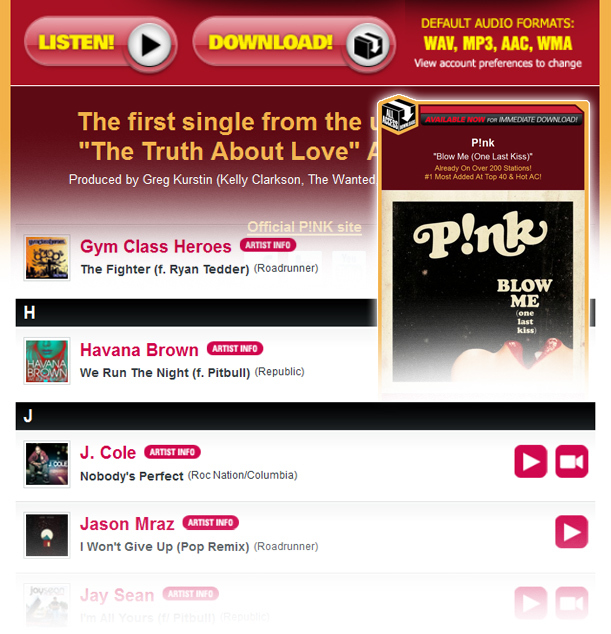 A web-based program, ALL ACCESS DOWNLOADS is available now on ALLACCESS.COM on the popular "COOL NEW MUSIC PAGES" in each music format. It's quick and easy to use. Download or stream songs immediately, without going through an additional login to a third-party player. 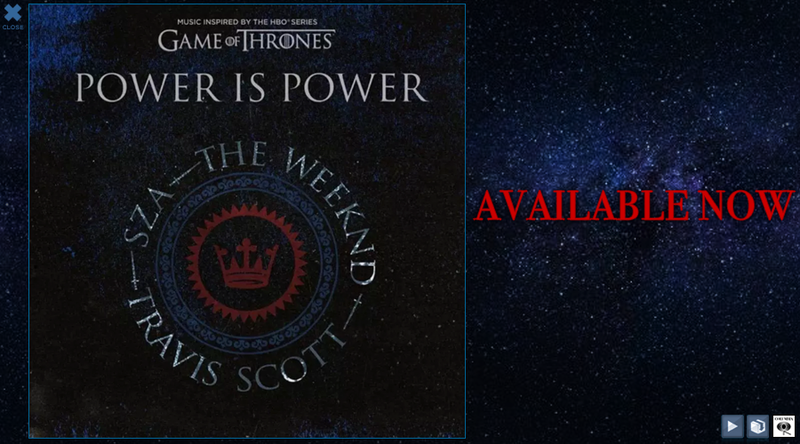 ALL ACCESS DOWNLOADS is currently available in the U.S. and CANADA, via a permission-based recipient list that is approved by record labels and other music providers. Authorized users include: (1) All radio programming personnel at all MEDIABASE and BDS-monitored or reporting stations, (2) Label-selected non-reporting stations, (3) Those in corporate programming positions at all radio companies, and (4) Consultants, satellite providers, syndicated shows, and a growing number of the major Internet programming services. Just click on any ALL ACCESS DOWNLOADS e-mail notification to immediately stream or download songs! When downloading, each song will be delivered in a secure, broadcast-ready bundle containing these four watermarked file formats: broadcast ready WAV format, MP3, AAC or WMA. Users can easily change their file format preferences with one click from their administrative home pages on ALLACCESS.COM. If you need something immediately, don't wait for an e-mail! Head to ALLACCESS.COM, login as you normally would and go to any of our newly searchable COOL NEW MUSIC PAGES in the following music formats: Alternative, Christian, Country, Hot/Modern/AC, Rock, Top 40/Mainstream, Top 40/Rhythmic, Triple A, Urban/Urban AC. You can find the artists and songs you want to hear, watch related music videos, read artist information, and then download songs to preview in your office, car, iPAD, smartphone, or put on the air, right from our ALLACCESS.COM "COOL NEW MUSIC PAGES". Soon we'll debut COOL NEW MUSIC pages in a variety of new formats like Regional Mexican, Spanish Contemporary, Tropical Latin, Latin Urban, Smooth AC, as well as Canadian-formatted AC, Hot AC, Top 40, Active Rock, Alternative and Country. Over the past few years, music labels have sought to deliver music to radio programmers digitally, and while there have been inroads, there are many radio programmers and music labels execs who have openly asked ALL ACCESS, "Why don't you provide this service?" ALL ACCESS Pres./Publisher JOEL DENVER responded, "Well, now we have! 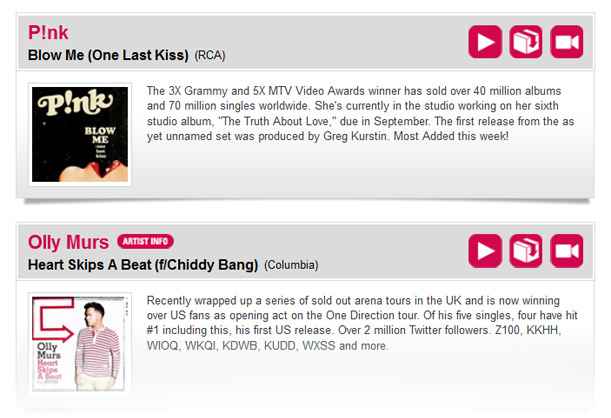 The reaction from radio programmers and label clients that have beta-tested ALL ACCESS DOWNLOADS has been spectacular. We saw the need for a simpler platform that provided a more direct link for radio programmers to easily search, stream and download the music they need with a minimum of steps, adding to programmer engagement and new music/artist discovery. "For our label clients and other music providers, ALL ACCESS DOWNLOADS offers the most effective one-to-one connection with programmers who already use ALLACCESS.COM daily, so there is no new username/password to remember. Just click, stream, download, and play on the air. As a bonus, they can easily see the song's video and read some artist information, adding to engagement and the hit music discovery process. "For added security, our audio files are watermarked transparently and imperceptibly using patented and proprietary software AUDIO WATERMARKING TOOLS 2 from AudioWatermarking.info". "If you have any thoughts, comments, or ideas feel free to contact us. We are always interested in your feedback. We're all ears!" If for some reason you are not able to access the songs for download from our COOL NEW MUSIC PAGES in a music format where you are currently working in the U.S. and CANADA, and you are part of the programming staff of a MEDIABASE or BDS-monitored or reporting station in that format, a non-reporter, or in a corporate programming position at one of the broadcast radio companies, a consultant, a satellite provider, syndicated show producer or are an Internet programming services provider, just e-mail PAUL CARTELLONE (pcartellone@allaccess.com) or call him at (310) 457-6616. He'll check with the labels and when they give us the green light, we'll get you hooked up. Labels, artist managers, and other music providers looking to make their songs available on ALL ACCESS DOWNLOADS should reach out to the corresponding ALL ACCESS format editors below. They will get right back to you to help you take the next steps. ALL ACCESS DOWNLOADS ... truly a thing of the fast! ALL ACCESS DOWNLOADS offers the most effective one-to-one connection with programmers who already use ALLACCESS.COM daily, so there is no new username/password to remember.